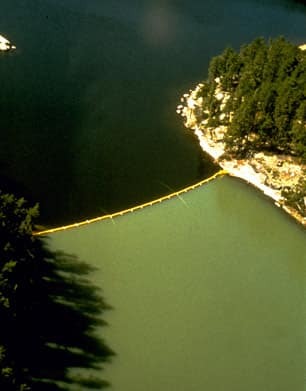 Schindler identified detergent phosphates as a pollutant killing lakes in the 1960s, and pinpointed acid rain as a widespread cause of fish deaths in the 1970s & '80s. Schindler now warns that rapid exploitation of Alberta's oil sands is polluting the Athabaska River, and recommends that oil sands extraction be monitored more effectively. "The days when we can afford to sit in our ivory towers and put our bound volumes on the shelves of our libraries, and then expect them to have any impact on how ecosystems are managed, are long gone." David Schindler came from a farming community in northern Minnesota, but despite his small town roots, the academically and athletically gifted student won a prestigious Rhodes Scholarship to Oxford University in England. Twice a day, as was the tradition at Oxford, the young Schindler met for coffee or tea with a gaggle of fellow graduate students and renowned scientists, including Nobel Laureate Nikko Tinbergen. These gatherings of brilliant minds led to heated arguments nearly every day. Popular topics of debate included the relative merits of British versus American approaches to ecology; the former heavily community-based, the latter more focused on process. Other hotly contested topics included the importance of natural selection in competition among species, and the roles of air pollution and animal behavior in ecology. Among the graduate students frequently participating was Richard Dawkins, now famous for his many popular books on evolution and genetics. Schindler fondly recalls that during these informal but highly educational meetings, if there was something you didn't understand very well, someone would tap you on the shoulder and recommend a book or a paper to read. Schindler recalls that it was a pretty eye-opening experience to go to England to work with these well-known ecologists whose work he had previously only read about. After graduating from Oxford, Schindler had postdoctoral and professorship offers from the University of Michigan and Yale, but turned down both for a job at Trent University in Peterborough, a small town in Ontario not unlike the lake country of his childhood. From Trent, Schindler was soon lured by a unique and exciting opportunity to participate in an experimental lakes project that was just starting up. Whole-lake experiments were unprecedented at the time and Schindler found it too good an opportunity to pass up. Hiring what Schindler later described as “a stellar cast of experienced scientists,” J.R. Vallentyne, head of the project and previously a professor at Cornell University, enlisted Schindler to lead one section of the project at the Experimental Lakes Area (ELA). Schindler says, “I have always viewed this as odd because I was one of the most junior scientists in the group. But in those first few years, most of the required work to get the project underway was not very sophisticated,” he explains. Schindler’s years at the ELA were to yield some of the most influential ecological studies of our era. Data from those collaborative experiments, combined with the unstinting determination of Schindler and others to bring their implications to the attention of policy-makers, brought about important international environmental protection to prevent pollution. Measures such as phosphorus control to mitigate against the impact of eutrophication - a process that starves lakes of oxygen through rampant algae growth in freshwater lakes – can be directly linked to the work of Schindler and his colleagues. Later, working on the impacts of acid rain and a myriad of other human perturbations affecting freshwater lakes, Schindler’s work has been recognized by many national and international awards including the Order of Canada in 2004. Schindler’s passion for ecology has inspired numerous graduate students and two of his three children to pursue careers in limnology - the study of freshwater ecosystems. Asked about how his children were introduced to the world of freshwater ecology, Schindler recounts that when doing field research during the summers, his children would join him, living in a cabin at the field station for several months of the year. Often he needed a field assistant, and he would take one of them along. “We would do some fun things along the way like fishing or birdwatching.” His kids would help with taking notes, holding equipment, handing him collection bottles to fill, and so on. So “they learned the trade, so to speak, at a pretty early age,” he says. Schindler's love of the outdoors extends beyond his professional career to his personal hobbies. His childhood love of fishing continues to this day, and until recently his household included a sizable kennel of sled dogs–nearly 100 at one stage. Schindler says he had always been interested in sled dogs, but in the early 1980s it was his kids who twisted his arm. After one of his favorite hunting dogs died the day before Christmas, Schindler bought a sled dog puppy to make his kids happy. That soon led to a sled, and before long participation in a local sled dog race. Schindler began talking to the pros, and was soon hooked on the sport. It turned out to be a good athletic activity for all of his children -- one he feels is “much preferable to team sports,” Schindler says. Schindler's sled dog racing days ended about 10 years ago, although he still has five as pets. The sport has become of victim of climate change, Schindler explains, with very few high-profile races left in Alberta. And it’s not so easy to travel with a large pack of dogs for races elsewhere. Now working half-time in his endowed Chair position, Schindler spends much of his time at his rural home about 100km west of Edmonton, a location he says has been extremely convenient for his recent studies on alpine lakes. He often collaborates with his wife, University of Alberta wetlands professor Suzanne Bayley. “In this day of electronic connection I think it’s fair to claim that I get more writing and research work done at home than I do in the laboratory,” says Schindler. Schindler devotes a significant portion of his time to communicating his science to the public and to policy-makers, most recently bringing to light flawed water quality monitoring schemes at Alberta’s Oil Sands. He recently shared his concerns at a presentation to the Canadian Senate. Asked about the role of scientists in policy-making, Schindler thinks there is much room for improvement. “The days when we can afford to sit in our ivory tower and put our bindings on the shelves of ivory tower libraries -- and then expect them to have any impact on how ecosystems are managed -- are long gone,” he says. Growing up in Barnesville, a small town in northwestern Minnesota, David Schindler spent as much time as he could between his grandparents’ farm and the nearby lakes, avoiding what he describes as “boring urban life.” In that landscape of lakes and farmland, Schindler’s interest in fishing and sense of wonder about his natural surroundings was kindled early. “My earliest memory, probably, is fishing,” says Schindler, now a renowned limnologist and Killam Memorial Professor of Ecology at the University of Alberta. One of his uncles was an avid fisherman, and when not excelling as a talented athlete on his high school’s American football team, Schindler devoted as much spare time as he could to his beloved hobby: fishing. An interest in fish and their habitats was to become not just a hobby but also a successful and highly influential career for Schindler. But Schindler’s career in limnology almost didn’t happen. In consultation with high school career counselors, his interest in the outdoors and high aptitude in mathematics and science were recognized. But he was advised that career prospects in biology were limited. “They said the only real career choice for you in biology is as a high school teacher,” says Schindler, a job that didn’t interest him in the least. They advised him to go to medical or engineering school. The prospect of spending up to 24 hours a day inside a hospital didn’t appeal to Schindler, so he studied engineering, aided by a university football scholarship. “I didn’t discover that there were careers beyond that until I was a second year student and got a job working for an ecologist -- by accident because he was looking for someone with a background in physics,” says Schindler. At that time, bomb calorimetry, a technique used to determine the energy content of organisms, was all the rage, according to Schindler. He was hired as a summer lab assistant for limnology professor Gabriel Comita at North Dakota State University in Fargo. Comita wanted to do some experiments, but needed someone with a physics background to run the calorimeter to determine the energy content of various aquatic invertebrates. Schindler had plenty of prior experience with calorimetry as part of his engineering training, and gladly accepted the job. With the university located very close to his hometown of Barnesville, Minnesota, the summer job allowed him to live at home, save money, and be close to his beloved lakes. In those pre-electronic days before automated temperature measurements, Schindler would have to take temperature readings from the calorimeter every few minutes, and in between measurements, he’d scan Comita’s bookshelf, picking out titles that piqued his interest. The first book he read was the Ecology of Invasions by Animals and Plants, by Charles Elton, an Oxford professor widely acknowledged as the father of modern population and community ecology. He was also intrigued by subsequent book titles: Treatise on Limnology, by G. Evelyn Hutchinson, and Animal Behaviour, by Nikko Tinbergen. These summer reads had a profound impact on Schindler, who came to realize that his high school counselors had been misinformed about opportunities in biology, and that a career in limnology was his calling. Mentioning to Comita on a whim how fun it must be to study with great minds like Elton or Tinbergen, Comita told Schindler about the Rhodes Scholarship, a scholarship that to this day brings outstanding students from around the world to the University of Oxford. Schindler’s application was successful, and after receiving his bachelor’s degree in 1962, Schindler headed to Oxford, England, to meet in person some of those famous names that he’d first seen on book spines on his supervisor’s bookshelf. Not many students can list a prestigious journal as the publication where their first academic research paper appeared, but such is the case for Schindler. Co-authored with his supervisor Gabriel Comita, his research using the calorimeter to determine the energy content of small aquatic organisms including copepods, algae, and crayfish, was published in Science in 1963. Publishing for the very first time in one of the world’s premier science journals was perhaps to foreshadow the prominent role of the science Schindler has researched and published throughout his continuing career. Schindler's PhD studies focused on lakes from an ecosystem perspective, studying initially with Nikko Tinbergen and then Charles Elton. Following completion of his PhD at Oxford, Schindler headed to Trent University in the small town of Peterborough, Ontario, a setting that appealed to Schindler because of its geological diversity and the many surrounding lakes. During his first year at Trent, Schindler learned about a new laboratory being opened by the Fisheries Research Board of Canada, a development that piqued his interest because of their intended focus on eutrophication studies–the study of how excess nutrients affected freshwater systems. So after only two years at Trent, Schindler interviewed for a position in the Eutrophication Section of what was to become known as the Experimental Lakes Area (ELA). Schindler accepted a job at the station, and was to remain part of the team for 21 years, a period during which his research had a profound impact on public policy. Focusing on eutrophication, a phenomenon that resulted in lakes becoming starved of oxygen due to overgrowth of algae, Schindler and his colleagues identified phosphorus as one of the main culprits within a few years of initiating their whole-lake experimental research. The approach of manipulating entire lakes was a revolutionary one, but one which provided more convincing evidence than smaller or lab-based studies. When lakes contained excess phosphorus and nitrogen, it stimulated algal communities to grow. Using experimental manipulation in some of the 46 lakes that comprised the Experimental Lakes Area, Schindler and his colleagues determined that the biological communities in lakes were capable of capturing nitrogen from the atmosphere if nitrogen in the water was in short supply. However they discovered that the same was not true for phosphorus. As a result, eutrophication could be controlled by controlling inputs of a single element, phosphorus. This was easily done by removing it from sewage, and reformulating laundry detergents to be phosphate free. In the late 1970s, Schindler's interest turned to freshwater acidification, addressing the problem of acid rain. Again Schindler and his team set up groundbreaking experiments that used both sulfuric and nitric acid on lake systems, demonstrating that acidification could knock out species within aquatic food chains, sometimes with dramatic and cascading effects. They discovered that two important species, opossum shrimp (Mysis relicta) and fathead minnow (Pimephales promelas), stopped reproducing at pH values below 6, when water has become slightly acidified (note: neutral pH is 7.0). Their results were important because they showed that fish were vulnerable to more subtle levels of acidity than had previously been recognized. Photographs of starving fish from some of Schindler's acidification research assisted in gaining the attention of the public, and persuading policymakers to enact legislation aimed at more rigorous air-quality standards to reduce the pollutants that contributed to acid rain. Schindler later studied pesticides and other chlorinated compounds and their impacts on subarctic and alpine environments. He was concerned that the widespread use of chemicals like DDT and PCBs in the 1950s and 60s would come back to haunt ecosystems as these chemicals, initially trapped in glaciers, began melting out as a result of a warming climate, contaminating high elevation lakes and rivers. Over the years, Schindler has also investigated the impacts of radio nuclides, forest fires, climate change, mercury and invasive species on aquatic ecosystems. More recently, Schindler has come full circle, back to studies of eutrophication, but this time focusing on the inputs of phosphorus from agriculture. After accepting a position at the University of Alberta in 1989, Schindler and his wife, wetland ecologist Suzanne Bayley, were able to take advantage of the nearby Rocky Mountains, and an opportunity to study alpine lakes and wetlands. One of his topics of study was the earlier stocking of alpine lakes with non-native fish for recreational purposes, a practice that Schindler discovered had profound negative impacts on these delicate ecosystems. From early on in his career, Schindler has made sure his science doesn't get lost on the shelves of libraries in academic institutions, and is well known for his feisty interactions with policymakers. His advocacy for seeing policy changes for reduced phosphorus pollution and acid rain has seen important legislative changes that have drastically improved water quality across Canada and in the US and Europe. Although some changes have subsequently occurred, including the design of a new monitoring plan by Environment Canada, Schindler is concerned that improved monitoring schemes may not be adequately funded. Recently presenting his concerns to the Canadian Senate, Schindler remains concerned that monitoring has not improved sufficiently. One of Schindler's most important results was strikingly demonstrated in a photograph that is now an iconic representation of the dangers of phosphorus pollution. In an experiment where Schindler and colleagues separated a lake into two parts, essentially with a giant shower curtain, they treated one side with carbon, nitrogen, and phosphorus; and the other side with carbon and nitrogen alone. Aerial photographs captured the bright green and cloudy algal blooms of the phosphorus–treated side, while the other side remained clear. Lake 226, from an aerial view, was to become a picture that spoke a thousand words. Schindler, who in 1973 took over the task of communicating ELA’s results in national and international science policy meeings from Jack Vallentyne, as the project came under the direction of Fisheries and Environment Canada, was to use that powerful photograph when he testified in hearings that eventually helped pass laws in the US and Canada limiting the use of phosphorus in detergents and its removal in large sewage treatment plants. When asked what he feels is the most urgent issue of the upcoming decade, Schindler thinks the abundance of freshwater of suitable quality for human consumption is a problem that is already acute in many countries. “There is widespread impairment of water across southern Canada already–with respect to drinking water. The tip of the iceberg is Aboriginal communities, a high proportion of which have unsafe drinking water right now.” And it's not just drinking water that's affected, worries Schindler. Water quality is also important for other human activities that we enjoy in Canada, including recreation such as fishing and swimming. Schindler wrote about his concerns about water supply in a co-authored paper in the Proceedings of the National Academy of Sciences in 2006. In that paper, he and co-author William Donahue examined historical flow records for rivers in the Prairie Provinces and the impacts of climate change on northern regions. Schindler says he was shocked by how much river flows had changed, in some cases reduced in summer by as much as 85%. He predicts these declines in river flows will have direct impacts on cities that depend upon their water supply, such as Calgary, and the coldwater trout species of the Bow RIver. Schindler, D.W. 2009. A personal history of the Experimental Lakes Project. Can. J. Fish. Aquat. Sci. Vol. 66. Comita, G.W. and Schindler, D.W. 1963. Calorific values of microcrustacea. Science 140: 1394-1396. Schindler, D.W. 1977. Evolution of phosphorus limitation in lakes: Natural mechanisms compensate for deficiencies of nitrogen and carbon in eutrophied lakes. Science 195: 260-262. Schindler, D.W. 1974. Eutrophication and recovery in experimental lakes: Implications for lake management. Science 184: 897-899. DW Schindler and WF Donahue. 2006. "An impending water crisis in Canada's western prairie provinces." Proceedings of the National Academy of Sciences USA 103: 7210-7216. EN Kelly, JW Short, DW Schindler, PV Hodson, M Ma, AK Kwan and BL Fortin. 2009. "Oil sands development contributes polycyclic aromatic compounds to the Athabasca River and its tributaries." Proceedings of the National Academy of Sciences USA 106: 22346-22351. EN Kelly, DW Schindler, PV Hodson, JW Short, R Radmanovich and CC Nielsen. 2010. “Oil sands development contributes elements toxic at low concentrations to the Athabasca River and its tributaries.” Proceedings of the National Academy of Sciences USA 107: 16178–16183. DW Schindler 2010. Tar sands need solid science. Nature 468: 499-501. Schindler advises young people interested in careers in ecology or limnology is to do some reading and take some courses on it early in their career. Field ecologists often require assistants for collecting their data, so if you are keen to get some experience and learn some basic methods, try contacting researchers in ecology at your local university to see if they have opportunities for volunteers. Classical–mother was a concert pianist. Favorite composers: Beethoven, Mozart, Rachmaninoff, Sibelius. Played the piano for a while, and also the trombone, trumpet and baritone. Fishing and woodworking. Until about a decade ago, Schindler and his family raised and raced sled dogs. Member of the U. S. National Academy of Sciences. Killam Prize from the Canada Council for the Arts. Wallace Broecker, professor of earth and environmental sciences at Columbia University for his enthusiasm and his curiosity for what really made things work. Also high school teachers in mathematics, biology and English: Rudolfs Malta, Robert Weinhold and William Chisholm. Malta Malta tutored Schindler in university math after school for free, enabling him to skip ahead to more advanced math in university. Gabriel Comita, for his boundless enthusiasm for science and who lent Schindler books that helped him discover his career direction. Charles Elton, who wrote the book that made Schindler choose ecology; and J.R. Vallentyne, who was always there to back Schindler up. Test ocean, river and lake water turbidity using this easy-to-make device.